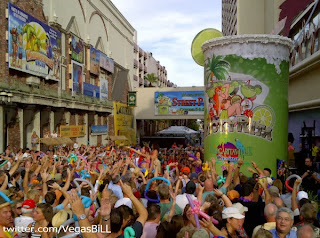 This week's winning picture goes to @VegasBiLL for his picture of Lucky Rita and the grand opening celebration of The Margaritaville Casino @Flamingo. The crowd in this picture is a perfect example of why Caesars Entertainment decided to move forward with The Linq because the space between O’Shea and Flamingo is the kind of packed you see in Vegas nightclubs. Something I really liked about this picture is how you really get a sense of how big Lucky Rita is when you have people around it to compare against. All the pictures of Lucky Rita throughout the week were surprising underwhelming because you have no point of reference to judge it against. 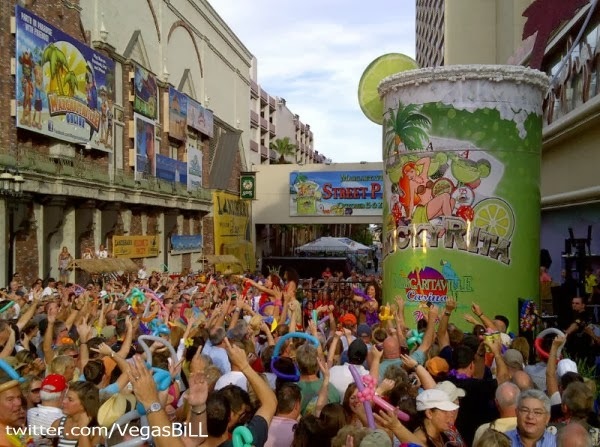 I thought this picture not only capture the spirit of Vegas with the crowd and the worlds largest Margarita ever made but it is also a snapshot of an area that will be radically changed by this time next year as construction on The Linq is underway. Palms "Night of Killer Costumes"
Watanabe was the heir to the Oriental Trading Company Catalog fortune, but sold his late father's company before racking up epic loses in Vegas. 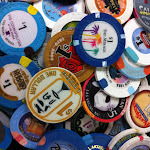 But I wonder if I can use that excuse the next time I lose 14.7 dollars? Haha! Another perk of wealth?